Waiting in line at a Metro kiosk may soon be obsolete. Photo by Mr. T in DC. 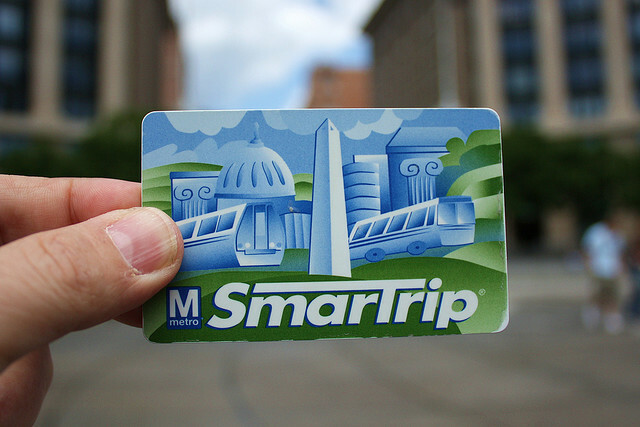 Washington, D.C. Metro riders will soon be able to add value to their SmarTrip cards online. The Washington Metropolitan Area Transit Authority launched a pilot program in July, testing the idea of online management of SmarTrip cards. Now the pilot program is expanding from 250 participants to 150,000. Originally, WMATA randomly selected 5,000 Metro riders to participate in the four-week pilot program. According to The Washington Post, an e-mail informed participants that the system would allow riders to use a credit card to purchase stored value and passes for a SmarTrip card. “It will allow a rider to save the credit card information for future purchases and to print detailed receipts,” the article reports. Learn more about adding value to your SmarTrip card online by clicking here. The transit agency is now running a competition to hire a vendor that can develop a new electronic payment system, reports the Dr. Gridlock blog. “Metro put out a request for proposals for a vendor to build a program that would use an ‘open payment system’ so that riders could use credit or bank cards directly at fare gates,” the article explains. The article also reports that several vendors like, ACS, Accenture, CSC, Cubic, FIS, IBM and Revere Group responded to the request. Chicago’s Card Plus system and Hong Kong’s Octopus Card have similar features to Washington’s newest venture. Chicago Card Plus, for example, allows riders to automatically reload their cards using credit and debit accounts or through the Transit Benefit Fare Program. Similarly, the Octopus Card allows automatic reloading through a program called the Automatic Add Value Service (AAVS). The Octopus Card is also a great example of an integrated card service, since it can be used for transportation and parking, as well as retail outlets, self-service machines, leisure facilities and schools. It is even used to access control at residential and commercial buildings. We previously wrote about the Octopus card in a post in November 2010. We also previously wrote about mobile phone payments, another innovative solution to collecting transit fares. How do open payment systems ease transit commuting in your city? Tags: accessibility, integrated fare card, mass transport, metro, Metro Transit, North America, Smart Card, Smartcard, transit agencies, transit ridership, United States, Washington, D.C.